Anderson is the only farm implements manufacturer to have a complete line of bale handling equipment. From movers to inline and individual wrappers and grabbers. 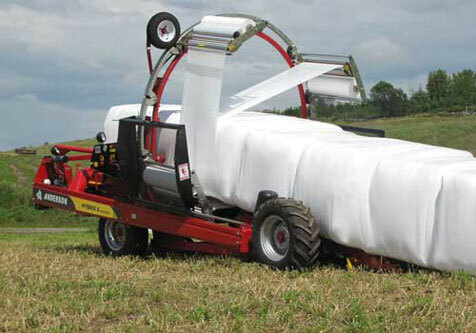 Rounds or squares, Anderson has you covered for all your bale wrapper and bale moving needs. 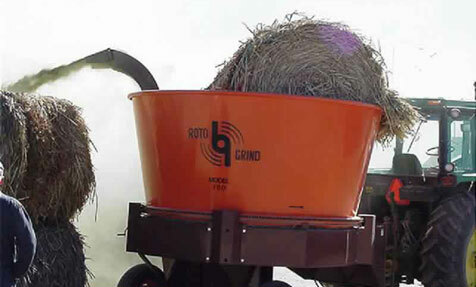 Roto Grind is a 37 year old farm implements company that prides its self on value, versatility, efficiency and reputation. Their unique design allows users to process a wide range of commodities more efficiently than similar products three times the cost. This versatile grinder can be used for processing baled forage, grains, chopping and spreading bedding. The only wet hay grinder available. 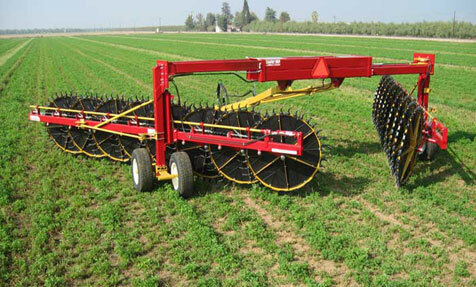 DARF is an indus­try leader in over­head hay rake tech­nol­ogy and has been man­u­fac­tur­ing rakes for over 50 years. With their excel­lent rep­u­ta­tion in the west where rakes are used 10 months out of the year, DARF boasts about its dura­bil­ity, qual­ity, ver­sa­til­ity and cus­tomer satisfaction. Forward Products' Manure Scrapers and Feed Pushers are built to withstand the demands of today’s modern free stall dairies. Made of the highest quality products, Forward Products' Manure and Feed Alley Scrapers are farm implements designed to provide years of dependable, trouble-free use. 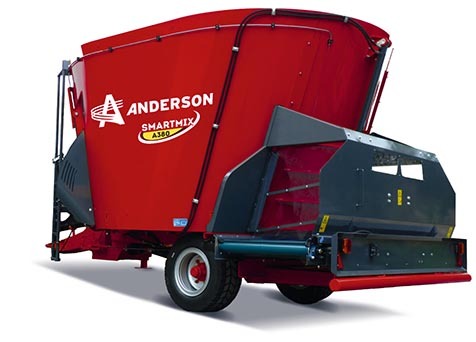 The Anderson pull type twin auger mixer has the ability to mix the widest variety of ingredients.Process large amount of hay, even complete square and round bales of baleage. Available with several discharge options. Whether your rations are designed to increase milk production of dairy cows or minimize variation in feed for each group you feed, vertical mixer will help optimize the dry matter and nutrient intake of your herd. 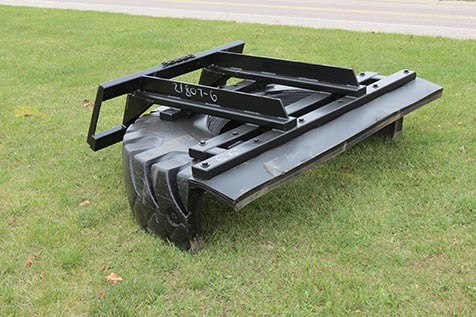 Whether its residue management, weed control, moisture management or creating that perfect seedbed prior to planting, the unique diamond shaped Kelly Tillage System offers a wide array of ground engaging discs to satisfy your year round, light tillage requirements. 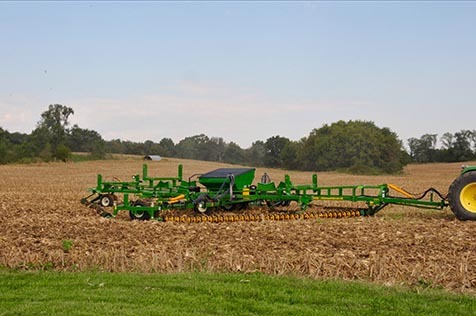 The Kelly Tillage System is the ultimate tool for preparing that perfect seedbed without the high costs of traditional tillage methods. Forward Farm Lines is an agricultural manufacturer's farm implements business that promotes agricultural products in the upper Midwest. There we offer farm implements product expertise and industry experience for an established dealer network. We pride ourselves on our service after sale and are known throughout our territory as more than just order takers. Please fill out the form below and we will keep you informed about our latest developments. Thank you.